Former Samsung vice chair Lee Jae-yong, known professionally as Jay Y. Lee, has been released from jail in his native South Korea five months after being convicted of corruption charges. According to Reuters and Bloomberg, Lee became a free man on Monday after the Seoul High Court announced that it was reducing his sentence from five years to two and that he will be on probation for four years – which means he is unlikely to serve any additional time in jail. Lee had been imprisoned since last February, when he was arrested and charged with perjury and embezzlement for his role in a graft scandal that led to the impeachment of former South Korean president Park Geun-hye. He was officially convicted in August. According to Bloomberg’s Sam Kim, the 49-year-old Lee appeared stunned by the decision, giving the courtroom a blank stare after the ruling and blushing as he walked out. According to Reuters’ Joyce Lee and Haejin Choi, he later apologised to reporters for “not showing my best side” and called the past year “a really valuable time of looking back on myself” in an occasionally shaky voice. Since his February 2017 arrest – which came two weeks after South Korean prosecutors were denied a warrant – Lee had disputed charges that he paid the former president and her associate Choi Soon-sil some 43 billion won (approximately $49.27 million Canadian) to maximize his control of the Samsung empire and, since August, promised to appeal his conviction. As reported by the Korea JoonAng Daily, Samsung pledged 22 billion won (approximately $25.21 million Canadian) to support the equestrian training of Choi’s daughter. It also contributed 1.6 billion won (approximately $1.8 million Canadian) to a winter sports training program established by Choi’s niece, and 20.4 billion won ($23.38 million Canadian) to a pair of Choi-affiliated nonprofit foundations. Prosecutors had argued that in return for the funds, the South Korean president’s office facilitated the 2016 merger of Samsung C&T (Samsung’s parent company, which oversees international sales operations) and Samsung affiliate Cheil Industries by ordering the country’s National Pension Service, which held shares in both companies, to vote for the deal, according to the Korea Times. As noted by JoonAng Daily, the National Pension Service also happened to be the largest shareholder of Samsung C&T – and the deal was criticized as unfair for Samsung C&T. When sentencing him in August, South Korea’s lower court convicted Lee of embezzlement, and ruled that 7.2 billion won of Samsung’s payments for equestrian trainingconstituted a bribe. The appeals court, on the other hand, ruled that Lee did not seek help from Park, and that only 3.6 billion won was paid as a bribe. Park, who has also denied all accusations, is still standing trial on bribery, abuse of power, and coercion charges. According to Reuters, presiding senior judge Cheong Hyung-sik called the nature of Lee’s involvement in Samsung’s support for Choi “passive compliance to political power”. As both Reuters and Bloomberg noted, Lee’s release presents a new headache for President Moon Jae-in, who was elected last year on an anti-corruption platform. “We confirmed once again that Samsung is above the law and the court,” Park said, according to Bloomberg. Lee’s lawyer told Reuters that his team will appeal to South Korea’s supreme court in an attempt to overturn the convictions. 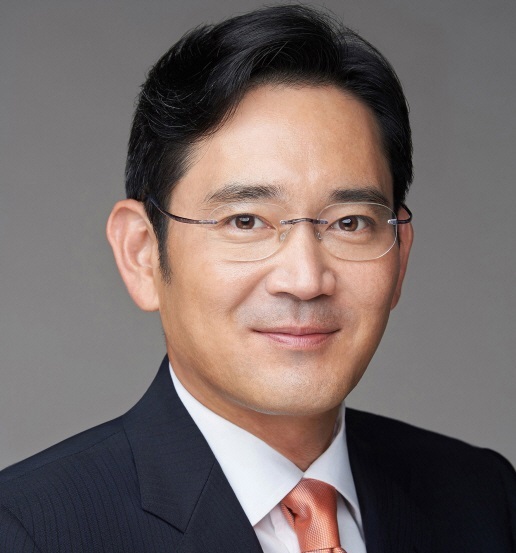 In the meantime, the ruling means Lee can return to his corporate roles, including as director of Samsung Electronics, though for the time being Lee said only that he would be visiting his ailing father, Lee Kun-hee, in the hospital.